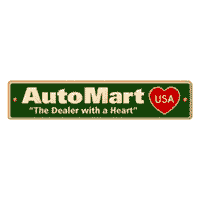 Auto Mart USA Offers Stress-Free Auto Financing to Drivers throughout Aurora, Denver, Centennial, Greenwood Village, and throughout Colorado. Here at Auto Mart USA, we always go the extra mile to provide straightforward and stress-free auto financing to our valued customers throughout Aurora, Denver, Centennial and Greenwood Village. We know that helping you choose a Ford, BMW, Chevrolet, Honda and Toyota model or another used car is merely the beginning our automotive services. Of course, we hardly expect you to navigate the many intricacies of auto financing on your own. You’ll have the helping hand of our auto finance experts to guide you throughout the purchasing process from vehicle trade-in to signing on the dotted line. We’ve learned that there’s no one-size-fits all answer to auto financing. That’s why we’ll work with you to develop a tailor-made financing plan that suits your individual needs and budget. We’ll make it easy for you to decide between buying and leasing before helping you secure a low interest loan or competitive lease rate on your next car. With our expert assistance, you’ll take the keys to your new car before you know it! Just make sure to stop by our Ford, BMW, Chevrolet, Honda and Toyota dealership in Aurora to learn more about your auto financing options today!